Shares in Financial Technologies (FT) plunged over 60 per cent, while Multi Commodity Exchange (MCX) shares were locked down in trade after falling as much as 20 per cent on Thursday. FT is the parent company of MCX. Both these stocks traded at an all-time low. The sharp fall in Financial Tech and MCX followed the National Spot Exchange's (NSEL) decision to suspend trading in its one-day forward contracts till further notice. NSEL is an unlisted FT subsidiary dealing with spot contracts in commodities. "This abrupt action has created uncertainty and doubt about continuity of trading on the Exchange and hence most of the participants started withdrawing from the market," NSEL said in a statement. The government had earlier asked the spot exchange not to launch new contracts, creating uncertainty among traders, the NSEL said. The exchange also decided to merge the delivery and settlement of all pending contracts and deferred it for a period of 15 days. Speaking to NDTV Anjani Sinha of the National Spot Exchange said rumours about halt in trading of "all" contracts and default are not true. "Yesterday, we have issued a circular which says that for day-to-day trading operations in contracts other than e-series contracts (e-gold, e-silver, etc. ), which are traded on the spot exchange, will be suspended. The settlement, delivery and payment for existing contracts will be re-scheduled and notified very soon," he added. Mr Sinha said that the exchange has requested the government to issue a clarification after which there will be some clarity. The spot exchange clocked an annual turnover of Rs. 600 crore in the year to March 2013, and had 67 running contracts on the exchange, with sugar and rice contributing to most of its volumes. Market expert Sanjeev Bhasin told NDTV that stocks that have a history of bad corporate governance have lost investor confidence. 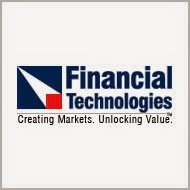 Financial Technologies shares have been under pressure since July 15, having lost 50 per cent of share price in the fortnight. Financial Technologies had also issued a statement last week against "rumours" in the market, but investors seem to have made up their mind. "We would like to inform you that since July 15, 2013, there have been many malicious rumours afloat on various media. The series of rumours that are spread in the market have a pattern more particularly to spread on Friday and such rumours are spread by some unscrupulous elements with a design to depress the price of FTIL and damage its reputation. Generally as a policy of the Company, we do not react on such rumours. However we request all the shareholders/investors to be careful about some unscrupulous players in the market and bear cartels are working against the interest of the Company. This is detrimental to the interest of investors in general and of around 47,000 shareholders of FTIL in particular. We deny all such rumours and request all our shareholders to not to rely & don't be instrumental in spreading such rumours knowingly or unknowingly.